Last week marked 9 years of marriage for my hubby and I. Sometimes I think he deserves a medal for just putting up with me, but he’s been supportive of all of my seemingly “crazy” ideas, including cloth diapering. In fact, he even changes a few diapers. 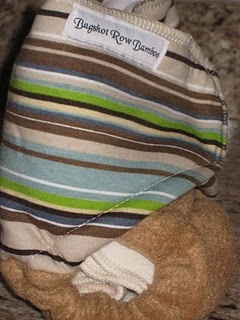 The Pocket diapers with Velcro are just as easy as disposables for him, and he even changes dirty diapers. That’s right folks! If any of your hubbies/partners/significant others/male counterparts are hesitant, you can ask mine. It was no harder to flip the poop in the potty and flush than to deal with (pee-yew!) a dirty diaper again on trash day. I wanted to do something special for him on Father’s Day. We celebrated a little early since he will be on a plane for the actual day. I’m shocked and amazed that I managed to pull this off. Dana of Dana Grayson Photography took photos of the kids (we’ve never had professional photos done) and I managed to keep it a secret! I think the trick was not telling my daughter what we were doing or that it was a surprise. She usually spills the beans instantly, but smugly adds that it’s “a surprise.” Ha. I had special, custom embroidered shirts made by Nikki’s Little House. She also made my son’s birthday shirt. Beautiful stuff at great prices. We did some shots in formal outfits, but I wanted to get some photos in their special shirts. I was worried that the matchy-matchy shirts would look like something on Awkward Family Photos, but I think they look great! It was nearing bedtime; I had just fished a rock out of my son’s mouth, and he was pretty mad at me for not letting him eat rocks. That is another rock he is contemplating tasting. Dana squeezed me in at the last minute, but still edited/touched up the photos and got digital copies to me in time for Father’s Day! If you live anywhere near the Maryland/D.C./Virginia/West Virginia/Pennsylvania area, I highly recommend Dana Grayson Photography. She does amazing Wedding/Engagement photography and I thought she did a fabulous job with my kids. Especially considering the real reason we’ve never had professional photos done is not so much because of the cost, but because of how uncooperative my daughter has been since birth! There are too many reasons to list why my kids are lucky to have my husband as their Dad! Happy Father’s Day to all the Dads, especially the cloth diaper-changing, baby wearing ones! Please remember you can email me any time at change.diaper.change.the.world at gmail dot com. I love to help if you have any questions, or if you have any comments or suggestions about my blog. I especially love suggestions for what you would like to see me review or give away! just remember to be gentle if you have constructive criticism for me, I’m still working on thickening my skin! 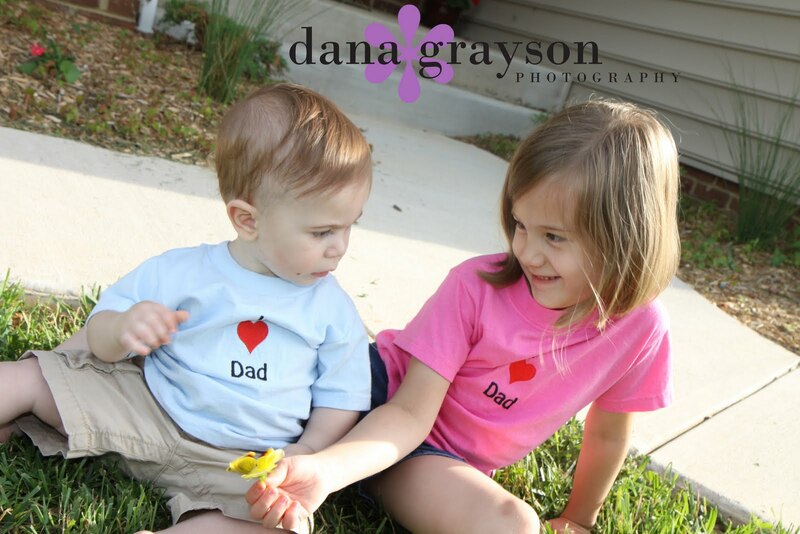 Please note: I received permission from Dana Grayson Photography to use the above, copyrighted photos on this blog. >My hubby was hesitant about diapers too, but now is a pro just like yours!I love your blog and find your reviews super helpful. And, of course, I love the giveaways as well. I've been hearing a lot about Kawaii diapers and Sunbaby diapers and they seem like such a good price, but I wonder about how well they work. I'd love to see either/both of them reviewed!